Python Algorithms, Second Edition explains the Python approach to algorithm analysis and design. 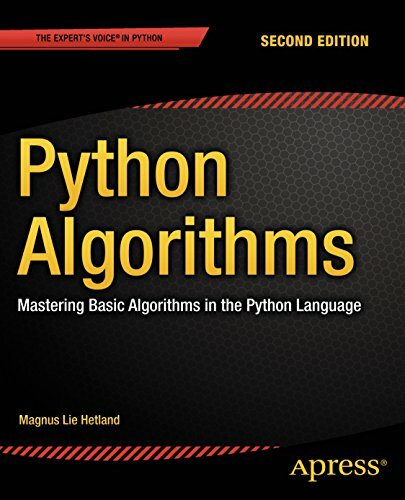 Written by Magnus Lie Hetland, author of Beginning Python, this book is sharply focused on classical algorithms, but it also gives a solid understanding of fundamental algorithmic problem-solving techniques. The book is intended for Python programmers who need to learn about algorithmic problem-solving, or who need a refresher. Data and computational scientists employed to do big data analytic analysis should find this book useful. Game programmers and financial analysts/engineers may find this book applicable too. And, students of computer science, or similar programming-related topics, such as bioinformatics, may also find the book to be quite useful.